the little dolls and clothing. 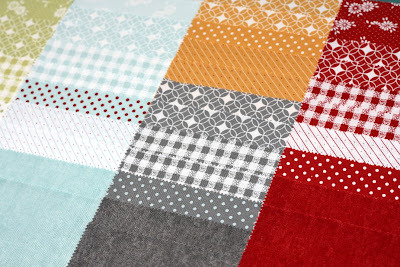 The coordinates that make up the charm packs, jelly rolls and layer cakes are great stand-alone prints and colors that would be perfect for so many projects. jelly rolls and layer cakes. You are the winner tonight!! I'm looking forward to working in my garden. Iḿ looking forward to relax, not watching the clock all the time bringing/picking up kids to and from school, music, sports, etc. I look forward to sun! Having not seen the thing since last year at the end of September, I have trouble remembering looking forward to much else. But there is open windows and doors. Stitching in the garden, walking outside without a coat on. But mostly it is just the light that I look forward too. This 'winter' - yes, southern hemisphere here! - I'm looking forward to sitting in the sun every morning in my TV lounge. Lucky me! I'm looking forward my new job... Since that I will continue sewing. I'm looking forward to my son's graduation and two family weddings! Uninterrupted morning sleep in and the beach. I'm looking forward to a few things - my dd and her dh moving into their brand new house! My son coming home from Hawaii, a dear friend's wedding (or is it the son of a dear friend??) and running in a Color Run with my family (my birthday present!). Love the colors and prints in FLATS! I am looking forward to a trip to Ireland. Thanks for the chance to win this charm pack. Looking forward to attending my oldest Grandson's Grade 12 Graduation! I am very much looking forward to more time to relax and sew, the only thing that could stop me sewing is a bit of lovely warm sunshine, which would be great! I am looking forward to not having to get up at 5:00 a.m. for early morning seminary. I'm looking forward to some downtime! Thanks, Corrie! I'm looking forward to better weather, sunshine and hot days with a lot of icecream! Last but not least - I will rest! Corrie, I am looking forward to 8 weeks of sleeping in, creating and not having to have to go to work. I love going to the lake. That is what I am looking forward to along with more me time. I'm looking forward to family get togethers with my far away family. Spending time with my adult kids and their significant others at camp...relaxing and catching up! I am looking forward to swimming in my pool! Well, after that nasty alarm clock waking me up this morning, I am looking forward to sleeping in a little bit more! :) Thanks for the giveaway!! I'm looking forward to sipping tea and quilting on my deck after a morning of golfing and tending to my vegetable garden... can't get any better than that... can it? I'm looking forward to the better rush hour traffic! :> Thanks for the chance to win! It is winter here so I am looking forward to snuggling under quilts, getting my knitting out and learning crochet! I love winter for all the crafts I can do, puddings I can make and soups and stew I can cook!!! I am so looking forward to spending time with my son since he's out of school! These Flats look fun! Looking forward to no school :) Thanks for the chance to win! I'm looking forward to moving into our home at the lake. Thanks for sharing! I'm looking forward to purposeful time with my family and time to tackle some of the clutter that has built up, especially in my sewing room! Besides the possibly obvious of spending more time with my children, I'm looking forward to being on our own schedule. I am looking forward to a little vacation time in massachusetts this summer. 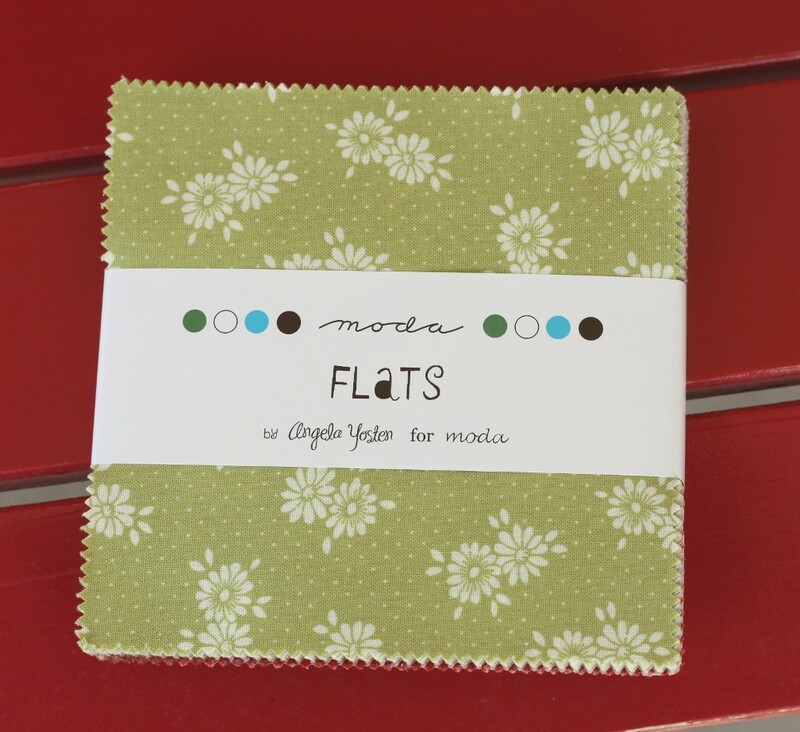 Thanks for the chance to win - I love Flats!!! Fireflies! I saw the first one last night! I'm looking forward to sewing on my deck! thanks for the chance! Oh I love summer, hanging out with my kids all day and going to the pool! When I pick up my oldest from school we're heading straight there! Very much looking forward to my grown kids coming home to see our new home. We've been here two months now, and they haven't been able to come for a visit yet. Just seems wrong not to have them part of it any more! I am looking forward to our vacation this year! I am looking forward to keeping my 6 yr old busy! Hopefully spending time at the lake this summer. Lots of quilting this summer! Looking forward to just being a mom...not a mom and a teacher for the boys! LOL They've already been to the pool and the sunny weather always makes me happy! A visit with family in Virginia next month. Visiting my family in South Dakota ! My 10 year college reunion next weekend! Time with my hubby and little girls at the pool & outside. I'm looking forward to the baby I'm expecting, but not looking forward to being pregnant in nasty heat like it will be here in Boston for the next 4 days. Taking a trip with my hubby. We have not had a vacation in years, so this will be a time to get away for some R&R. I'm looking forward to vacation with my hubby in July. Summer brings so many good things, watermelon, fireflies, 4th of July fireworks and splashing in the garden hose... but the best part of summer... NO ALARM CLOCK! Celebrating the granddaughter's 1st birthday! Thanks! Looking forward to being with my kids at the beach. Looking forward to camping in Yosemite with my husband, daughters and granddaughter who is just 15 months old. We will probably be removing leaves and rocks from her mouth the whole time. Those are great all around fabrics! I am looking forward to long summer nights outside. I'm looking forward to my daughter being off of school. Thanks so much for the chance to win! Spending time building onto our new house and visiting my Dad. Vacation at the Beach! Yeah! Thanks! I've been waiting for these for a looonnngg time!! I'm looking forward to sitting by the lake knitting and doing some hand sewing. Pure bliss! Moving into our new home! Going to yellowstone, and Disneyland! I'm looking forward to moving to a new town and getting my craft/sewing room set up in a much more organized way. Never saw a Moda that I didn't love, especially this one! I am looking forward to lazy mornings on the porch, under the ceiling fans, coffee and hand quilting and sharing time with my faithful golden retriever. Perfection. Looking forward to camping with the family and celebrating my parents 40th anniversary. I am looking forward to nice weather happy hours with white wine. 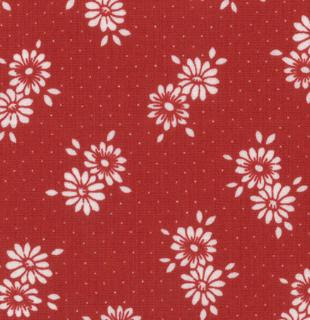 These fabrics are great! I am looking forward to our week at the beach, just being lazy and hanging by the water! Such cute fabric! Looking forward to quilt show in Chicago, family for July 4th and finishing some projects. I am looking forward to using our new camper with our little tykes! Lots of memories to be made! and also squeezing in the occasional quilt project of course. Want to do some EPP for the first time as it will travel well. Thanks for the chance at the adorable giveaway! I am looking forward to a family reunion in MN. Thanks for the giveaway. I'm looking forward to spending some fun time with my daughter this summer. She is an art teacher and lives about 3 1/2 hours away. So while she has summer vacation, She'll come home for a week or so. 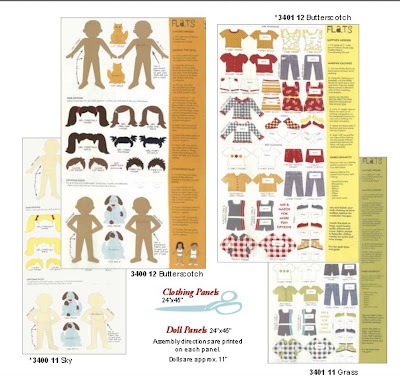 Love the paper dolls! Thanks for the giveaway! 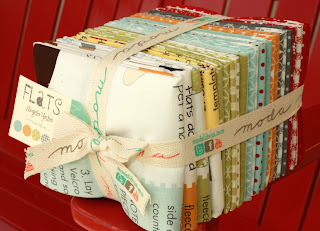 I am looking forward to starting up again on the City Sampler QAL. I got 7 blocks done and then more projects got in the way. I am looking forward to spending time at the pool with my baby! I'm looking forward to Wild Olive's Summer Stitching Club!! I'm also looking forward to doing some sock knitting and quilting. Thank you for the opportunity to win! phase 1 on kitchen remodel finished, not being pregnant anymore and birth of our first boy! Looking forward to lots of time relaxing outdoors this summer! Lots of time outside by the baby pool. Looking forward to my parents' visit and taking them camping in Yosemite with the kids! Just moved my sewing room to a smaller space and am looking forward to getting back to sewing again and using up some of my stash. I am looking forward to going to Mexico this summer!! I'm looking forward to actually SEEING summer this year. It seems like I get so busy with work and indoor projects that I'm always disappointed when autumn arrives and I haven't taken the opportunity to enjoy summer. I'm looking forward to some "me time" this summer. I want to become better at machine piecing and quilting. I also want to lose weight, catch up on my reading, and organize my cluttered sewing area. total cuteness, oh my how fun is this fabric line!? I am looking forward to letting my kids sleep in this summer! I'm looking forward to vacation! I'm looking forward to moving into our brand new home! Yay! I am looking forward to getting my quilt room back. Had to pack up everything in order to put my house up for sale. Can't wait for August when I'll move into new home and set up the ol' quilt lab again. I am looking forward to warm weather, being outside, and MORE SEWING. I'm looking forward to spending some quality time with my family. I live on Vancouver Island and they live in Vancouver, so will be having a reunion sometime in August. 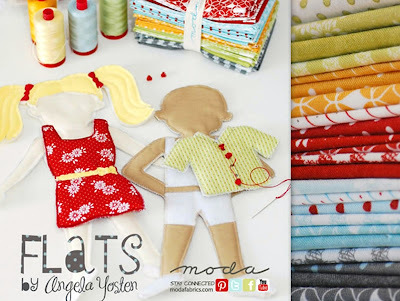 Love this new fabric line, especially the dolls and their clothes. HI! WE'RE IN MONTANA AND I'M SO LOOKING FORWARD TO THE EARLY BLOOMS! SUMMER HERE IS SPECTACULAR WITH WILD FLOWERS EVERWHERE! THANKS FOR SHARING! I'm looking forward to fresh tomatoes from the garden! Thanks for the chance to win. Looking forward to having my sister come visit. I look forward to BBQ's, summer festivals, and just being able to spend more time outside without a coat. I'm looking forward moving into our new home. I am looking forward to go to the beach. I'm looking forward to seeing some old friends, and just having some down time without being in a rush. I thought being retired was supposed to be relaxing? I'm looking forward to driving down to Austin, Texas with my daughter and getting her settled into her new apartment in preparation for grad school. My how time flies! I am looking forward to a trip to Utah for a family reunion! Let me know if you want/need some "Punctuation". 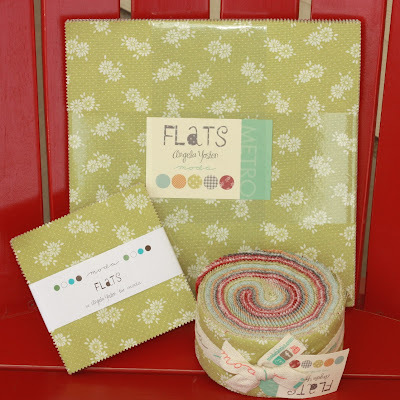 I have a layer cake, jelly roll and some fat quarters! I'm looking forward to warmer temperatures, swimming at the local outdoor pool, and barbequeing! I'm also really excited to go visit my best friend, who lives 8 hours away. I'm looking forward to paddleboarding around our lake once the water warms up a bit! I am looking forward to some nice sunny weather. We have had nothing but a lot of rain lately. Looking forward to taking some time off work & visiting family. Thanks. I am looking forward to doing some weekend camping and day trips to the lake, parades and fun. I am looking forward to some family reunions! thank you! I'm looking forward to homemade ice cream on the porch! Thanks for the chance to win! 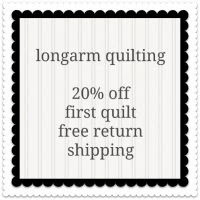 This summer I am looking forward to turning down the a/c for cooler temps indoors, and the chance to do some quilting. 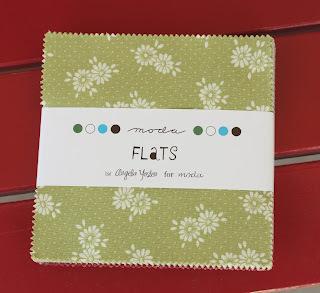 Thanks for the chance to win some Flats too so perhaps can be sewing with those charms too. We just moved, so this summer I`m looking forward to unpacking and being able to sew again! This fabric line is just precious! We live at a summer camp so that is exciting. I wish for a little bit of sunshine and warm temperatures. My husband just retired, so we're looking forward to taking the Goldwing out for a spin. I am sooo looking forward to going to the Beach! The little men moving to the summer house. But it will be quiet and lonely while they are gone. I am looking forward to going to our state quilt show about 3 hours away. Otherwise, just local trips. I am looking to it getting warmer. I'm in SW Iowa and we had snow on May 1st!! Looking forward to warm sunny days and cool nights. Ha! With summer comes time to travel. This summer we are visiting my oldest daughter and her family but don't have to travel very far. She will be about 50 miles away at a competition with her family for nearly a week. I have not seen her since last summer so I am very excited.The rest of the summer will be mostly indoors, quilting and avoiding the heat here in Florida.I have many projects planned, including a start on Christmas and several "quilts for kids"
I am looking forward to pool time. I'm looking forward to time to myself to do some sewing! This would be a great thing to start with! Just gorgeous! Please sign me up for the drawing! Im in Australia and we are coming up to winter :/ im looking forward to camping at the beach with my family for a week!! Being able to cycle, hike and run more. Being outside after a looooong winter. Finally getting settled into my new home and having a chance to sew and sew and sew. Plus a little gardening thrown in. I am so looking forward to the beach! Edisto here we come! I am looking forward to playing outside in the sun with my sun! I am looking forward to the beach and having my girls home from school! I'm looking forward to hopefully getting pregnant this summer! We just got married and are on the baby wagon now! looking forward to getting my home business up and running! Helping my son on some projects on the house he bought this spring. Looking forward to some nice HOT weather! 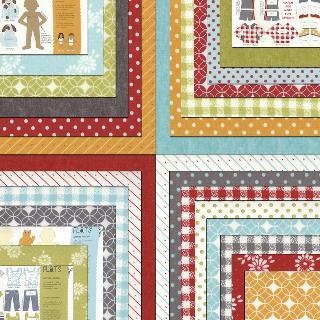 I am looking forward to working on some quilts for Christmas giving. I am looking forward to doing more sewing this summer and in going to Boston to see my family. Time at the pool with my boys! Well, I am retired so I hope to just keep on sewing. 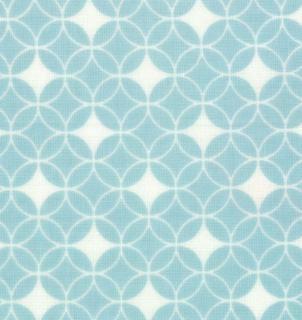 This is really cute fabric. Thank you for sharing.. I'm looking forward to nice weather! I am looking forward to celebrating my hubby's and my 30th wedding anniversary. I'm looking forward to us all having a trip to the small local zoo with our 1 yr old Granddaughter. I can't wait to see how she acts because she gets so excited about everything. I am looking forward to playing outside with my little girl! I'm looking forward to swimming all summer!